IRVINE, Calif. - Sales of the JUKE NISMO topped 3,700 units in Europe, Japan and the U.S. between launch in January and the end of July. 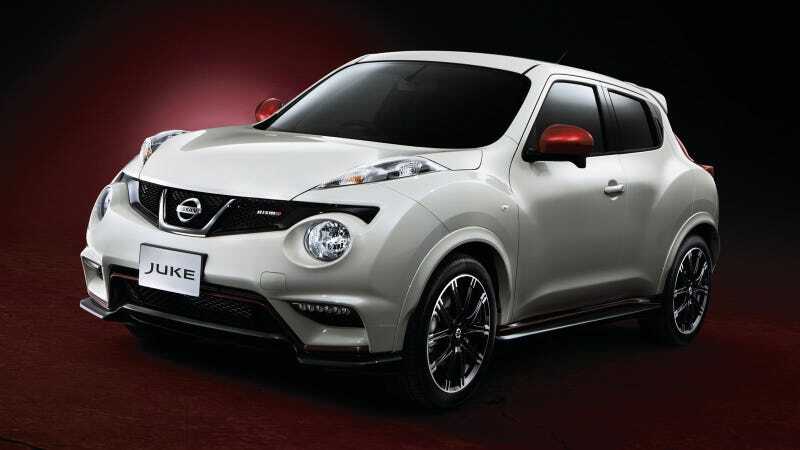 Based on Nissan’s innovative crossover, the JUKE NISMO is a global model and was the first of a new sporty line up of cars aimed at bringing excitement to customers. Following in the footsteps of the JUKE NISMO, the Z NISMO was newly introduced into European market. It had earlier been marketed as the Fairlady Z Version NISMO in Japan and 370Z NISMO in the U.S. The Z NISMO is now accounting for 15 to 30 percent of Nissan Z model sales depending on market. The March NISMO is the third model in the NISMO lineup. Announced in June, the first vehicle deliveries are scheduled for December. Many orders have already been received from customers. "We are delighted to see that our NISMO models are well perceived by the markets," said show Shoichi Miyatani, NISMO Business Office head of Nissan Motor Co., Ltd and President of Nissan Motorsports International Co., Ltd. "We are encouraged to introduce further models into the markets, which will surely provide additional thrills and excitement to customer’s lives." Nissan is promising a rapid pace of introduction of even more NISMO models, at least one model every year during the Nissan Power88 period, encompassing the breadth of the Nissan road car range. This will include the flagship of Nissan's performance and technology, the GT-R. Development of the GT-R NISMO is on track in Japan with the car expected to go on sale in 2014. "The Nissan GT-R NISMO is the GT-R with which we pursue pure performance," says Hiroshi Tamura, Nissan GT-R and NISMO Chief Product Specialist. "It is for people who search for true performance with pure motorsports flavor. Its development is on schedule, and I can’t wait to see the model introduced into the markets." NISMO is expanding its activities to become a major road-going production vehicle brand bringing innovation and excitement to the Nissan range, but its origins and passion lie in motorsports, and particularly the highly competitive disciplines of endurance and touring-car racing. NISMO competes at the highest levels of GT and sports car racing including the World Endurance Championship. In Japan NISMO is this season chasing an unprecedented third successive SUPER GT championship. NISMO is also dominant in engine manufacturing. At Le Mans in 2013, a staggering 15 out of 22 LM P2 cars were powered by the NISMO-tuned Nissan VK45DE V8 engine, including the top five finishers. At next year’s Le Mans, NISMO will race the NISMO ZEOD RC (Zero Emission On Demand Race Car) out of the famous Garage 56. Nissan and NISMO innovate not only in racing cars, but also racing drivers. Through GT Academy Nissan has turned virtual-reality-gamers into real-life-racers. Nissan GT-R NISMOGT3, competing in the 2013 Blancpain Endurance Series Pro-Am Championship, scored an overall win at Silverstone and a well-earned 3rd-place finish with all gamer lineup from the famous Nissan GT Academy at Spa-Francorchamps.